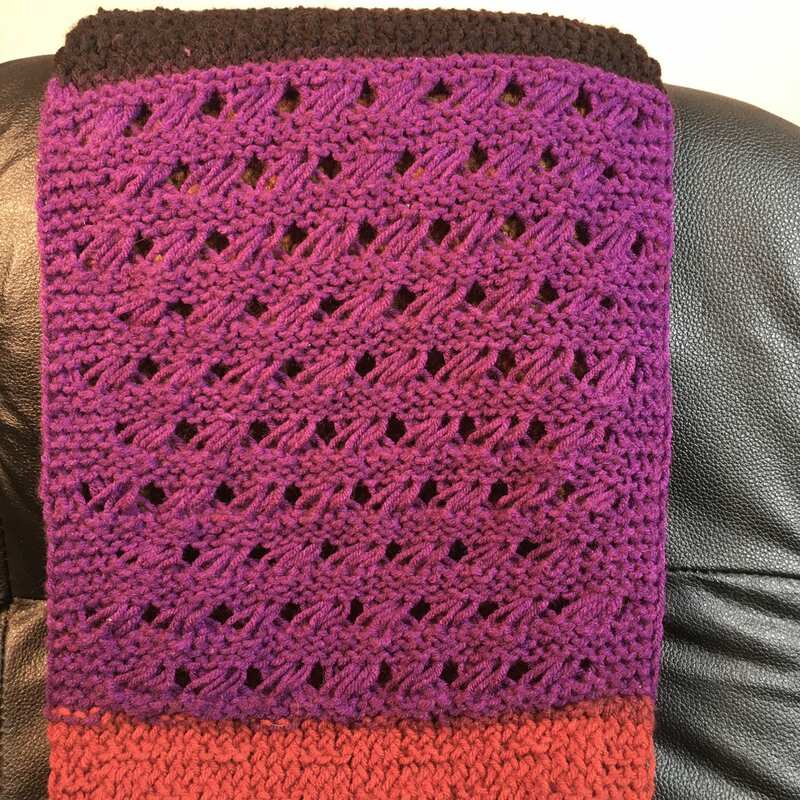 Here’s an eye-catching infinity scarf that works great with the popular “cake” type yarns that feature long color changes. 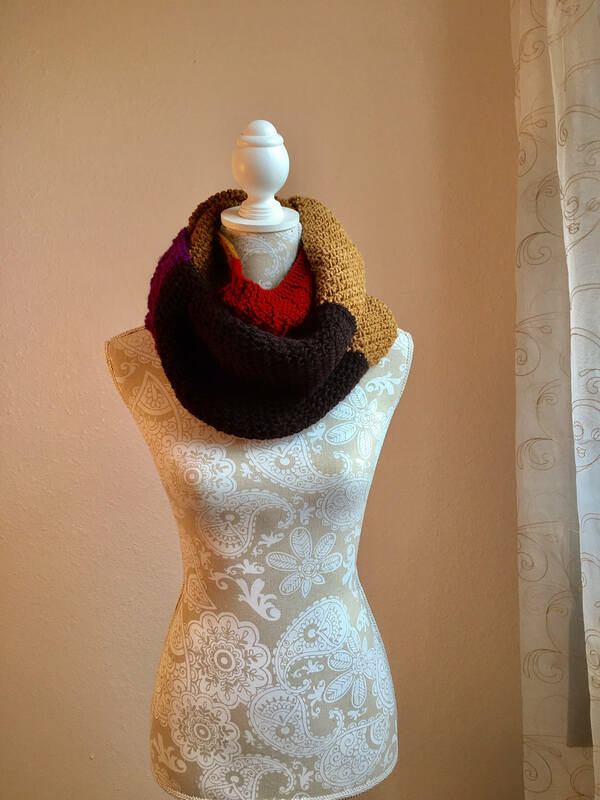 The scarf is created with these 5 beautiful stitch patterns: figure 8 stitch, Indian cross stitch, purl texture stitch, eyelet moss stitch, and the diagonal knot stitch pattern. 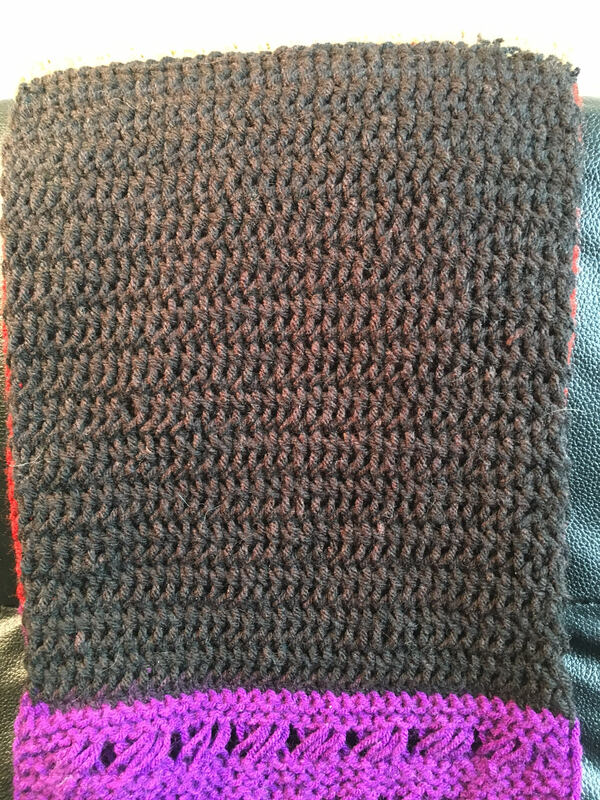 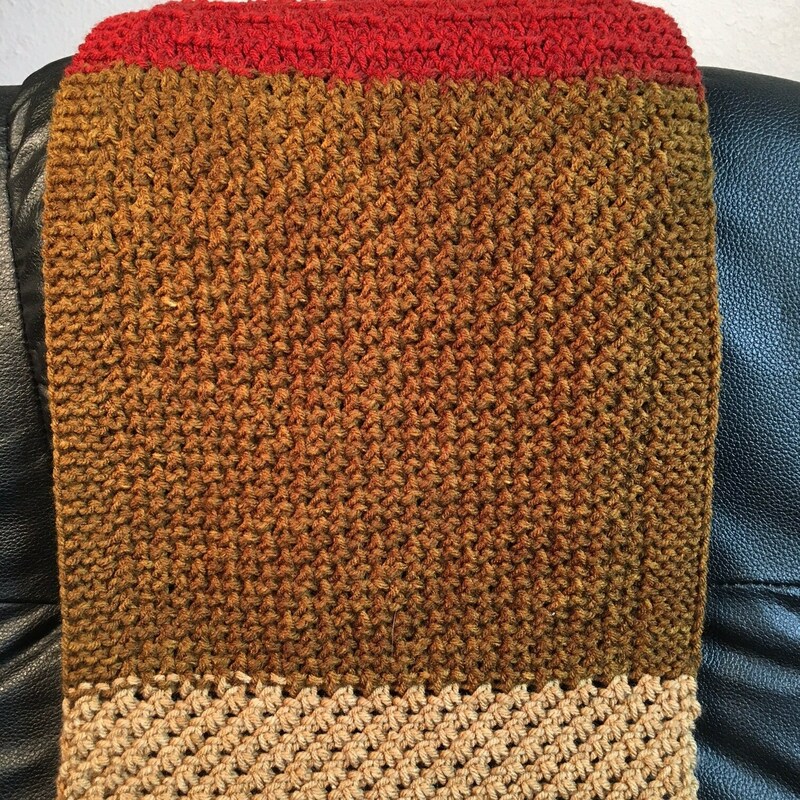 This Stitch Sampler Infinity Scarf is knit on any 3/8” gauge loom (eg. 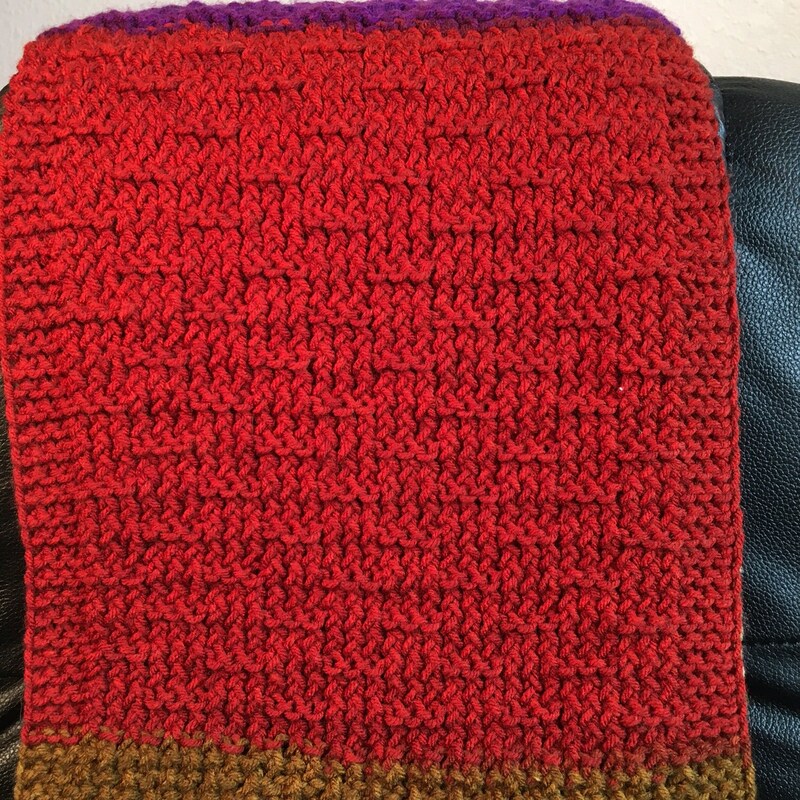 All N One loom) with a minimum of 38 pegs. 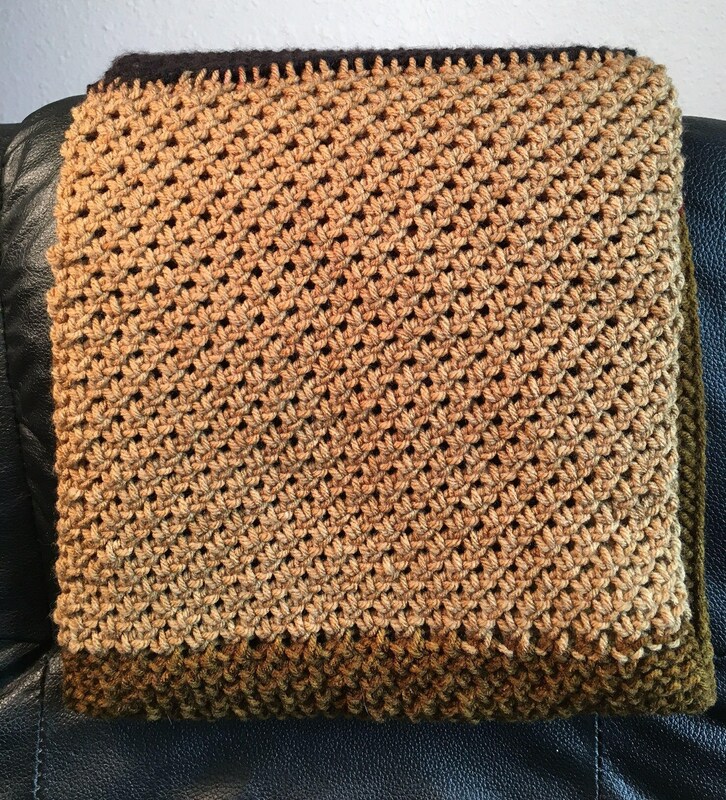 The sample was knit using one skein (355 yds) of Yarn Bee’s Sugarwheel Yarn in the “caramel me away” colorway, but can be knit using any of the “cake” yarns. 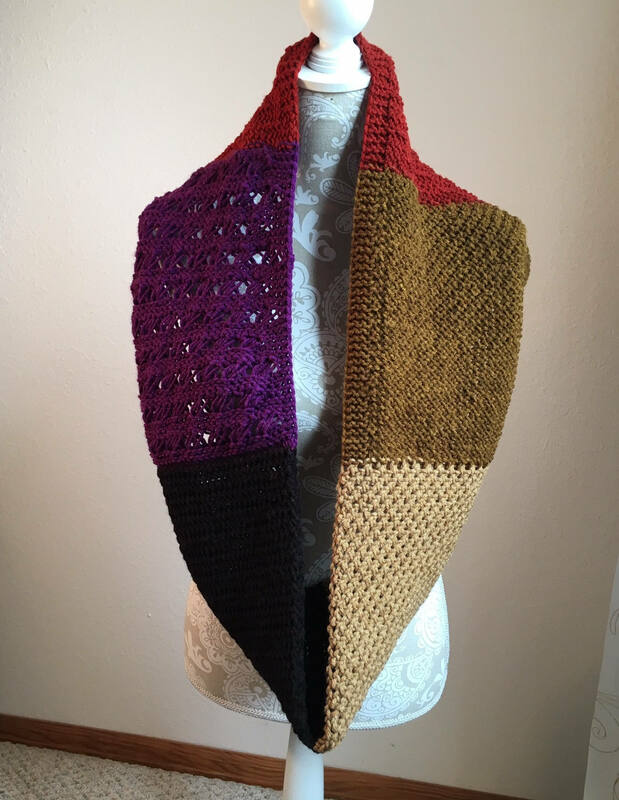 The pattern is suitable for an advanced beginner/intermediate knitter.